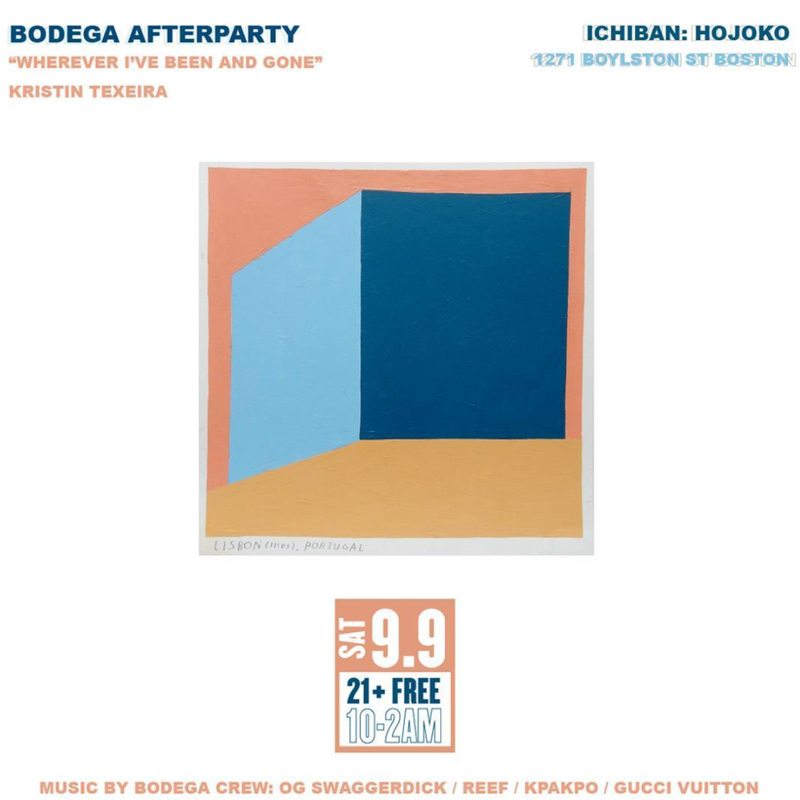 Bodega, co-founded by Oliver Mak, Jay Gordon, and Dan Natola in Boston in 2006, is a retailer that specializes in sneakers and streetwear. Hidden in plain sight within a fully functional bodega (convenience store), the Bodega store offers an experimental retail experience, encouraging visitors to discover a selection of great products, many exclusive to Bodega. It has also been actively involved in the local community and supporting art and culture through different initiatives and events. 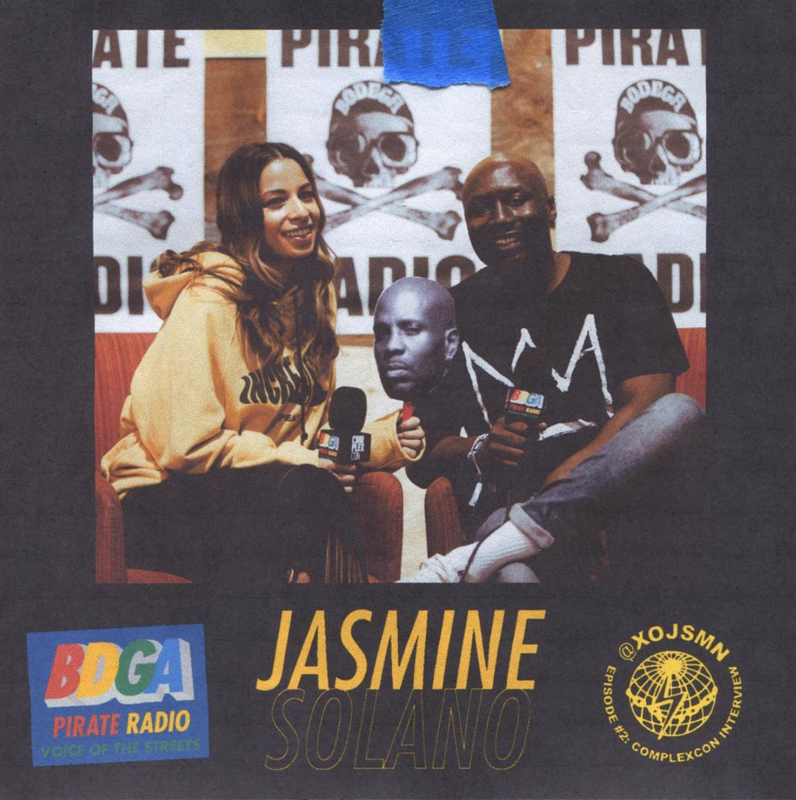 Bodega now boasts a global e-commerce platform, an adjacent innovative space "SERIES by Bodega", its private label, Bodega Pirate Radio, as well as a second store location in Los Angeles. What is your background before co-founding Bodega? I was a young DJ working at freelance events that fused music, art, and fashion. I did some street team work through Cornerstone and Fader magazines and was also throwing loft parties. My steady job was at the Middle East nightclub in Cambridge, Massachusetts. I probably saw 300 to 500 bands every year since they had multiple rooms in their complex. I met a ton of people, but more importantly learned what was good art and developed taste. Around 2003, I started a non-profit finding legal work for at risk youth who were graffiti artists, and I got involved with art as a community. I helped organize mural projects and hustled custom graffiti pieces on the street. This giant web of culture work got me sponsored as a DJ by Puma. I met Dan Natola through art events. Dan was already a legendary painter at that point. We were doing an old school block party at Peters Park, one of the OG mural walls in South End. ALA was doing their Soul Revival masterpiece and the Floorlords were breakdancing. Later that year, Lino from Floorlords connected me with Dan to work on the first Hip Hop Peace & Unity Festival at Boston City Hall. We both thought we should collaborate but were keeping it pushing for a decade plus. All the street team work and events got me a bit of notoriety in the scene. DigBoston (The Dig) did a profile on me in 2004! That was crazy hype for an independent artist/DJ/promoter. I ended up getting hired to run a street team program for an early e-commerce fashion retailer around then. I met Jay because he was an investor there who was trying to get their marketing business off the ground. We ended up hitting it off even though I was pretty miserable at the workplace. I was a horrible employee and didn’t take authority very well. I was rightfully fired after basically smoking weed at a desk for a full year. I had a loose concept for it after traveling in Europe in 2000 and seeing different fashion and sneakers out there, and Dan and Jay helped turn it into something that worked. We met at Middlesex for drinks and wrote it out on bar napkins. I designed a bunch of the floor plans, original fixtures, and branding at Toscanini’s, an ice cream shop that only hired punk rockers. I think a lot of people start out that way – around a dinner table, or in their spare time when their drive to create something gives them boundless energy. Meeting two other people who helped build the idea into something coherent and strong was the key. Without the contributions from all three partners we wouldn’t be here today. The concept was originally based around this Spanish anarchist artist enclave from the 70s who would shoplift luxury brands and sew in their own tags. A lot of obscure art movements, even graffiti, gave birth to streetwear as we knew it. We wanted a space to collect limited edition artist driven products and also our own creations. We saw a lot of our contemporaries going that route in NYC, London, Paris, so we thought why not be the Boston crew? We approached retail like performance and installation art. We wanted to create an experience the engages imagination, so we filled the space with the coolest independent brands we could find. The Bodega logo has gone through many versions in the past few years, and you also do variations of the logo on designs. Why is that? It’s the inner struggle of our team trying to figure out what we want to be. We are always trying to reinvent ourselves because we want to be too many things at once. Recently, we did realize that we need some consistency with branding, otherwise the brand can’t grow. It’s part of the creation process. When you think about Picasso, he went though many phases, but you can still tell when it’s a Picasso. That’s what we hope for at the end of the day. Originally I was thinking we needed to be near downtown. We researched where similar shops were located and tried to find something that was on a hidden side street but near a main shopping area. Then one night, Jay found our location when he was walking around Back Bay, and the rest is history. What brands did you have when you first launched and how did you manage to get them? We had some cult streetwear accounts. We would be jumping out of the car and grabbing a trash bag of tees that Coup d’etat had just printed on some corner in Brooklyn. We got the hook up for some Asia exclusive Nikes from the homie Kookies who happened to be studying in Boston and found out about us on Nike Talk, which was a pre-Hypebeast sneaker collecting forum. Bodega x Vans "Sub Rosa"
None of you were buyers. How did you know how much to buy? Honestly, we didn’t know how to run it and just bought one or two for each size. We didn’t start doing categories and brand planning until 2009. We had historical data for the first three years, but we didn’t know what metrics to look at. Then we started reading and learning. A lot of the things we did at the beginning was really because we had no idea what we were doing. You introduced SERIES by Bodega in 2017. Why is that and how did you come up with that idea? SERIES is a result of us trying to find the next idea. We wanted something different from a normal retail store. We came up the concept, so it’s not much about sales but more about marketing, as we would do events in that space. We want to position ourselves in a way that for the next thing we do, it has to be more innovative than what we already did. Bodega just opened a new location in Los Angeles in February 2018. Why LA? It makes us a national brand. If we have two spots on the east coast, we wouldn’t be seen as a national brand. It’s closer to Japan, our number one market in terms of e-commerce sales. There is also a wide open retail landscape in LA. There were part time people on the sales floor who were all students, and we just chose one person who graduated. It was really just whoever was graduating first. During the first couple of years, we really ran like a family business. How did you grow you team? It started off with really just the three of us doing absolutely everything in the first two to three years, and we didn’t meet enough. After around 2008 and 2009, we had three interns and would have weekly meetings at the Sheraton nearby since we didn’t have an office. We would give goals and go over weekly meeting notes. Learning about organizational intelligence and putting in structures was a long part of the process. It still is. You have a large photo team who takes care of most of the creative works. How do you make sure that they produce what you are looking for? We created mood boards and told them how we wanted to edit the images. Once they learned what we are looking for, they can replicate and expand upon it. We don’t want to micromanage. At some point we need to let go and let other people lead. How did you market the store? We just told our friends and press contacts. That was all the marketing. While we were staining and sanding all the cabinets and installing floors, random sneaker heads would just poke their heads in and geek out. There had never been a shop or experience like ours, and you could only find it if you looked really hard on the streets of Boston. The market was really excited for us to open, and when we did, people came through to check it out, and we delivered. By the second month, Dime magazine named us top three sneaker shop in the world. By the sixth month, The New York Times did a full page on us. How did people learn about the Bodega culture? That’s where our marketing comes to play. Our photo team handles a lot of our visual outputs. They document the things that we do to support our culture such as Bodega Pirate Radio and Boston Art Book Fair. We also choose models that are from subculture. We can hire models who are traditionally good looking, but that’s not what street is about. Most people don’t understand that because they don’t come from street culture. We bring in artists and people who are making cool stuff. We make a lot of small choices that would reinforce our brand message. Why would people shop at Bodega instead of other stores that offer streetwear and sneakers? You are homies with us. You are already a part of our community. Or you want to be a part of our community. We made a really wide social circle through events. By just being really far into the culture, we are not just profiting from it, we are actually part of it and give back to it. It’s very transparent what our contribution is, and that’s a big difference. 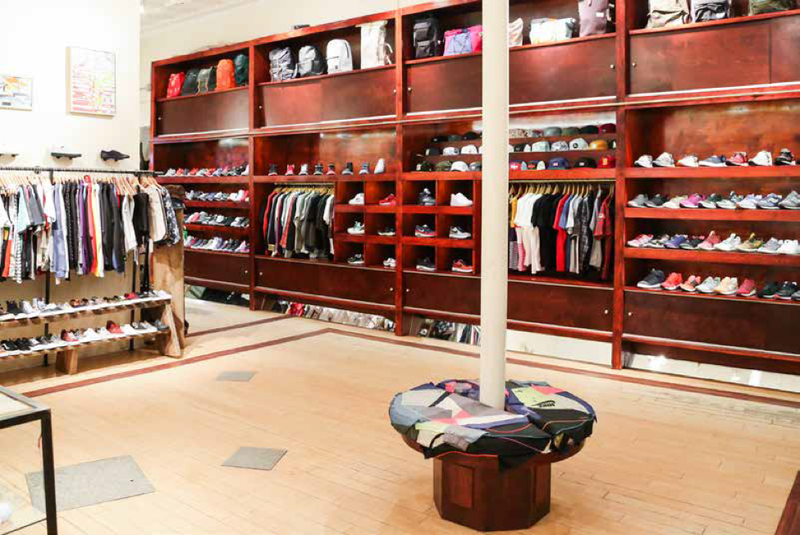 Concepts opened before Bodega in 1996 and has also become a global leading sneakers and streetwear store. How do you manage the competition with Concepts? People see us as competitors, but we are contemporaries. We have worked with Concepts on some stuff. We interact and trade information with them sometimes. With the growing presence of online retailing, how do you deal with people who price shop? We can’t win people all the time. In terms of price shopping for footwear, the footwear brands help us a bit because they try to make an even play field for all of us and slow down the mark down process. Otherwise it would turn into a price war. We also try to get exclusives or become one of the only stores that purchase certain brands.